Driving can be a pain at the best of times. With the rush hour traffic that can make a 10-minute journey take an hour, not being able to find anywhere to park, and having to watch out for cyclists and motorbikes coming at you from all angles. Not to mention the boy racers, Sunday drivers, middle lane hoggers, tailgaters, and road rage morons. So the last thing you need on top of all of these irritations is lower back pain. However, that's exactly what you can end up with if you're not careful because driving can be a major cause of back pain. As people that spend more than a couple of hours driving each day are at a higher risk of developing back, neck, and shoulder pain. The vertebrae in your spine become compressed, which can lead to a weakening of your spinal discs over time. If you also sit in an unhealthy posture (which many people do behind the wheel) it will increase the pressure and strain on your lower back. And when it is mixed with the vibrations and movements from a moving vehicle it can lead to long-term pain that can be hard to shift. However, the good news is it doesn't have to be that way. So read on and find out what you can do to stop this pain from developing and stay comfortable on the road. While any kind of driving carries the risk of back pain with it, driving for a living is an even bigger risk factor. As you have to spend so much time sat down behind the wheel. And while this is bad enough for taxi drivers and couriers, it's even worse for truck drivers, bus drivers, and anyone who has to operate an HGV vehicle. The reason for this is the high levels of whole body vibrations that you get from these vehicles. As these constant vibrations are absorbed by your body and increase the pressure even further on your already compressed spinal discs. And this has been shown to be bad news for your back. For example, one study in Chicago found that prolonged sitting and whole body vibrations were among the biggest factors associated with developing back pain. And in a review of 25 studies looking at the association between prolonged sitting and occupational lower back pain, it was found that people who were exposed to whole body vibrations alongside sitting were 4 times more likely to develop lower back pain. So developing lower back pain is a big danger is a major risk for people who drive long distance for a living. And this can lead to more serious problems too. For instance, in 2015 the Bureau of Labor Statistics ​in the US found that truckers suffered three times more workplace injuries than everyone else. While another study found that truckers were significantly more likely to develop back and neck pain than office workers. And they were also more likely to suffer from heart disease, stress, stomach problems, and fatigue. Because while these numbers are depressing there are many ways you can minimise the risk of developing back pain from driving. Even if you have to drive a truck or bus every day. And I'll take you through these now one by one. Now this advice is important for your safety on the road in general. But there are also things you can do to get a smoother ride out of your vehicle and minimise the whole body vibrations you experience. For instance, investing in better tyres and making sure they are at the right pressure will ​help your vehicle grip the road better. While power steering will reduce the stress on your back and shoulders. Now I know you have more control over this when the vehicle is your own, but if you drive for a living it's worth speaking to your company or boss about this. As keeping their employees safe on the road and out of pain is surely just as much in their interests as it is in yours. People have a tendency to sit too back from the steering wheel when they are driving. And the problem with doing that is it positions you in an awkward driving posture that puts greater stress on your neck and lower back. And when you hold a bad posture like this for an extended period of time, pain while driving becomes inevitable. So, how can you tell if you're at the right distance from the steering wheel? One way is to reach out and see if you can rest your wrists on top of the steering wheel. But if you can't you need to move your seat closer! Also your feet should be able to reach the pedals comfortably while keeping a slight bend in your knee. The reason for this is that when sitting we use our feet to stabilise us and take pressure off of our backs by placing them flat on the floor. And if you can't do this when driving it will increase the load on your lower back. Now of course you need to use your feet when driving, but by sitting closer to the wheel you can gain more stability for your spine. And if you have the option to drive an automatic rather than manual vehicle and thus get rid of the need for changing gears, all the better! This one is important as some vehicles allow you to adjust the position of the steering wheel nowadays. So if yours allows this make sure that the steering wheel is center aligned in front of you. The reason for this is that even if you twist only slightly to one side to hold an off center steering wheel while driving, it will force your body out of alignment and into an awkward posture. And over time this will add pressure and cause you back pain no matter how minor the twist. Now I'm as guilty as anyone for not doing this. And it's so easy to get into bad habits such as holding the wheel with one hand while the other roams free with your elbow resting out of the open window. However, holding this position for hours at a time can cause you to slouch to one side, leading to stiffness and pain in your back, neck, and shoulders. So you need to remain symmetrical and aligned as much as possible. And holding the wheel with both hands is a good way to do this. So try and hold the wheel at the 9 and 3 positions (or even the 8 and 4 positions) as this is now considered to be the best practice when driving. This overrides the previous advice of keeping your hands at the 10 and 2 positions for two reasons. Firstly, with the installation of airbags in modern vehicles, holding the wheel in this position can prove dangerous​ in an accident. As the airbag deploys with such force it can fling your arms and hands back into you if they are in this position. And this has been the cause of many RTA deaths as well as broken fingers, arms, hands, and noses. While the invention of power steering has meant you no longer need the added leverage of holding the wheel at this angle to turn. Keeping your hands at 9 and 3 on the other hand will keep you safe if the airbag deploys and will also keep you aligned and pain-free on your journey. ​It's easy to overlook how often you need to check your mirrors while driving. So position your mirrors in such a way that you don't have to strain your neck to check them as you drive. This will lower the pressure on your body. While also reducing the chance of developing a repetitive strain injury in your neck from driving every day. Most car and truck seats are not equipped to provide the right amount of lumbar support as you drive. Which forces you to slouch or adopt an uncomfortable posture as you drive. However, you can remedy this lack of support by getting yourself a lumbar support cushion. As placing one of these between your lower back and the seat will give you the right amount of support and help you to maintain a healthy driving posture. So what is a healthy sitting posture when driving? When sitting you should be aiming to maintain an S-shaped curve in your spine rather than a C-shaped one. 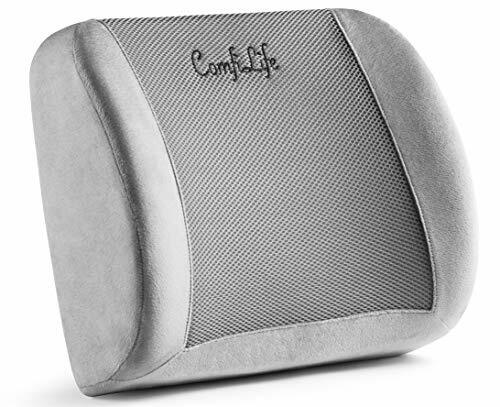 And a lumbar support cushion such as the ComfiLife Lumbar Support Cushion is great for helping you to do this. However, when buying a lumbar support cushion just make sure that it will fit in your car, van, or truck, as some seats may not be compatible. This is good advice for sitting in general, not only when driving. And it's amazing that something so simple can be the cause of such a big problem. But sitting down with your wallet or phone in your back pocket will hurt you. As it causes your hips to shift out of position, which will throw your spine out of alignment and put pressure on your lower back. And over the course of a long drive this is going to become a problem. Also the fatter the wallet the more of a problem this becomes, so plumbers take extra care! Your choice of footwear is really important if you want to stay pain-free when driving. Because your feet act as your body's shock absorbers to protect you. And wearing a pair of work boots that are lacking in support means you'll feel every jar and jolt in your joints and muscles. This is especially important if your job involves loading and unloading your van or truck between deliveries. So a comfortable pair of work boots that have good arch support are a must. 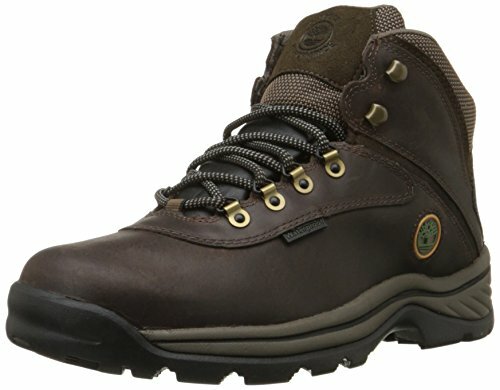 And a pair that do the job well are the Timberland White Ledge Waterproof Boots. Also these boots are really comfortable and nice to drive in which is also important. And they're waterproof and have a good grip too, so your feet will stay dry and you'll be less likely to suffer any slips or falls. Using a heating pad on your lower back can give you some relief from back pain on long drives. As the heat will work to keep your muscles relaxed and help to prevent any cramps or spasms. And on top of that the heat will feel nice and comforting too. 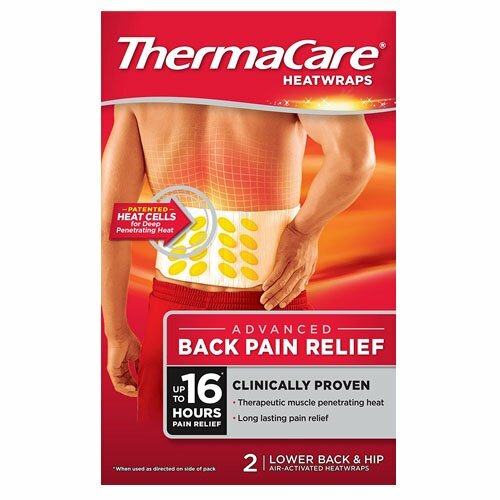 So if you regularly feel twinges in your back on long drives, give the Thermacare heat wraps a try. One thing your body hates is to be sat in the same position for too long. As this causes tension to build up and your muscles to stiffen and weaken. And this is a big cause of back pain while driving. So as you drive try to fidget and incorporate little movements and shifts every now and again to keep your body awake and active. As even a slight movement can release some of the tension that's built up. So roll your shoulders back and forwards, shift your neck from side to side, rotate your pelvis backwards and forwards, and side-to-side. And have a good stretch and a yawn. As this will all help your body to stay loose as you drive. Now obviously only do all these things when it's safe to do so and keep your eyes on the road at all times! But it can be a big help for your back on a long drive. I know it can be hard to take breaks when you have a tight schedule and a boss or customers ready to go on the warpath if you turn up late. ​But driving non-stop for hours at a time is one of the worst things you can do for your back. So try to make frequent stops where you can get out of your vehicle and stretch your legs. As the highway code recommends taking a 15-minute break for every 2 hours of driving and I'd recommend that too. When you do manage to stop for your 15 minute break use those minutes wisely. Because after a long drive it's not enough to just get out of the vehicle. You also need to get your body moving around and your muscles loosening and working again. This will get the blood pumping around your body again, release tension that has built up in your muscles, and set you up for your next stint on the road. So walk around a bit, stretch out your body, and get things moving. However, be careful not to overstretch yourself at this point. As your muscles will have become less flexible and more sensitive after a long drive. The video above gives you some ideas of what you can do. Following on from the previous point, your muscles will be more sensitive after a long period of time spent sitting behind the wheel. So you need to be careful not to overdo things and strain yourself when loading or unloading your vehicle. And you can do this by warming up first and following safe lifting and manual handling guidelines. Also be careful how you get out of your vehicle. So no awkward twists, no sharp movements, and definitely no jumping down from your rig! And if you want to give your back a helping hand wear a back support belt. 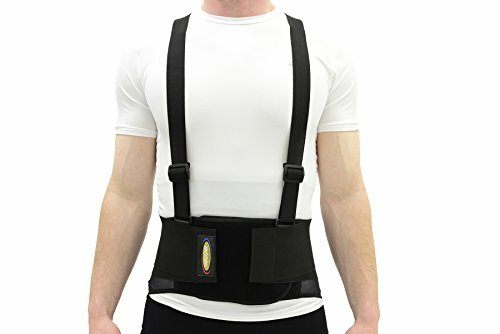 As these are a massive help when unloading as they can support and protect your back. And a great choice for this purpose is the Maxar Deluxe Work Belt. I mentioned in the intro how driving can be a stressful experience. However, this can cause us a problem. Because when we get stressed out we tend to hold this tension within our muscles. Which means when you get stressed or angry while driving it's only going to make your tight muscles and back pain even worse. So it's really important to try and stay relaxed instead. Even if you have a boss screaming at you, are stuck in a traffic jam, or are running out of time to get where you need to go, try and find your happy place. Because getting stressed, angry, or anxious will only make things worse! Distraction is a great pain management tactic. This is because our brains are restricted by a limited capacity to take in what is going on in the world around us. It needs to do this to avoid becoming overwhelmed. As we are bombarded by sights, sounds, smells and other stimuli every second of our lives and it's far too much to be able to take in and process. So the brain has to adapt to allow us to function. And it does this by prioritising what we focus on, selecting only what it considers to be the most important information and ignoring everything else. But unfortunately for those of us with chronic pain, our brains will always give the sensation of pain top priority. Because it usually resembles an imminent threat and something that needs to be taken care of. However, if you can consciously divert your brain to focus on something else instead, then you can block these pain signals from reaching your brain. This is because you will then not have enough capacity left over to also be able to receive the pain signals from your back. And this will result in you feeling much less pain on your long drives. So when driving try to occupy your mind as much as it is safe to do so. 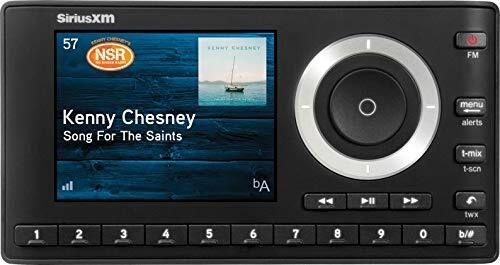 You can do this by listening to your favourite music or talk radio via a satellite radio in your truck or van. Or by listening to audiobooks via your phone or mp3 player. But whichever way you do it, diverting your brain away from your back pain while driving will help you to drive more comfortably. And will make those long drives feel a lot shorter too. Staying active is the key to managing and getting rid of persistent back pain. Because our bodies are designed to move. And it's through exercise and movement that we our muscles, organs, and joints can stay fit, strong, and healthy. This has been shown time and again in scientific studies. For instance, one study in France found that exercising to a moderate intensity for 30 minutes, 4-5 times per week, helped to reduce pain levels in people with chronic pain. And activities such as walking, swimming, yoga, stretching and pilates will strengthen your core muscles too. While increasing your flexibility, giving you a better range of motion, and making your back stronger and more capable of withstanding punishing drives. So get out there and get into good habits when it comes to exercise. Also the video from the Healthy Back Institute above includes 3 simple exercises that will specifically help you if you spend a lot of time driving. I know this one can be difficult because as people with chronic back pain we are highly likely to suffer from insomnia. And good quality sleep can also be hard to come by for truck drivers if they have to sleep out overnight in their cab. But sleeping well is absolutely crucial in keeping back pain at bay. As it's during sleep that the body heals and repairs itself from the days exertions and stresses. And this is even more vital if your back is taking a daily hammering from long drives. So do all you can to adopt a regular sleep pattern and get plenty of rest. To help you I've written an article with some tips on how to do this, which you can find by clicking here. ​I hope that you found these tips useful. After all, driving is stressful enough and even more so if you do it for a living. So if you can remove back pain from the situation it will be a big help and will make your working day a hell of a lot easier. So try to follow some (or all) of the tips I've included in this article, and you could be on the road to making back pain from driving a thing of the past. And let me know in the comments section if you have any other tips to add. Stay safe and happy on the road.